We thoroughly enjoyed working with Victor. From the beginning he has been really easy to work with and he put us on ease at the engagement photo shoot. We knew then that we’ll have lots of fun at the wedding. Our pictures are beautiful and he captured some amazing moments throughout the day which we can treasure forever. Many of our guests also commented how nice Victor was and everyone has said what great photos he has taken. We would definitely recommend Victor to any couple getting hitched! Thanks Victor for the great photo shoot! We loved the photos and the style. You made us feel very comfortable which allowed us to have a good time. We hit all our favourite places and that made it special and unique to us which is much appreciated. Also thanks for getting the photos back to us so quickly and being so patient with organising around our schedules and the London weather! I will definitely recommend you to friends. Victor, you are the best photographer we have worked with. We forgot that you were there during our photoshoot at times. You put us at ease from the start and encouraged us to express our love and affection for one another. We can’t thank you enough for the magnificent images and for the beautiful session. These images will last a lifetime. You are just brilliant! 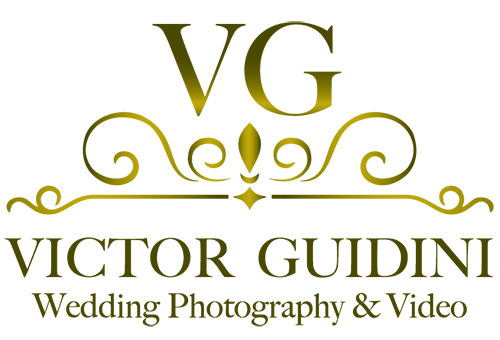 From the very beginning of our communications, to the face to face meeting, to the big day of our wedding and the afterwards, Victor was extremely professional, attentive, friendly and helpful. He captured our special day through his lenses so naturally, without being intrusive and produced beautiful high quality pictures we are absolutely delighted with. All our guests also love the pictures and praised his great work. My partner and I definitely recommend his excellent services. Thank you ever so much! Victor is simply amazing. His work is of the highest quality, his work ethic is of the finest polish culture covering every little detail. He covered details even myself and my bride had missed during our pre wedding and wedding day shoots… another absolutely fantastic thing about Victor is his personal charisma and persona. He is an a joy to be around, he is so dedicated and yet will make you feel very relaxed and the laugh occasionally as he has a great sense of humour!!! Thank you so much Victor. Victor captured beautifully every moment shared with our guests and ourselves on our special day. Thank you Victor for spending your time with us and for the amazing pictures. We definitely recommend your services to anyone who is looking for a great and talented photographer! Victor did a wonderful job photographing our intimate registry office wedding ceremony in May 2017. He is friendly, professional, discreet and super-efficient. He really listened to what we wanted and our photographs are fabulous. Such a beautiful record of our day. Thank you Victor! Thank you, Victor, for an extremely professional and courteous service. The photos were high quality and more than lived up to our expectations. I would definitely recommend Victor as a wedding photographer. We cannot thank you enough….the photographs were just beautiful and we absolutely love them!! You’ve captured so many great images and we will treasure them always. You were our star find at the wedding and we would not hesitate to recommend you to our friends….we are completely impressed and so very, very happy. Thank you! Thank you also for getting them to us so quickly…another lovely surprise! Thank you Victor for the amazing photoshoot! We had so much fun walking the streets of London with you and being photographed:) you made us feel at ease and has managed to capture all the perfect moments. We absolutely love the photos! Victor was brilliant. We hired him for two different days as part of our wedding ceremonies and he was really friendly, professional and easy to work with. The photos he took were stunning. We were over the moon with them and really couldn’t have asked for much more. I will be recommending him to friends and family alike as we really couldn’t fault him at all! We were incredibly happy with Victor’s work. The quality of the photos were well beyond our expectations, while perfectly capturing all of the key parts of our day. Victor was highly diligent in his approach and remained flexible at all times to capture any additional shots we wanted. Thank you Victor! My husband and I hired Victor to do our wedding photos and I was blown away by how beautiful the photos are! Victor is exceptionally talented and such a lovely person as well which made the whole experience perfect. If you need to book someone look no further! We are really happy we chose you as our photographer! That day will be in our memories and hearts, and not only that, it will stay on paper thanks to you! After the whirlwind of our wedding we were of course excited to receive our wedding photographs from Victor, but he completely blew us away with how beautifully shot they were and the special moments that he managed to capture. He was a pleasure to be around on our wedding day and he makes you feel extremely comfortable and relaxed. Along with our guests, we hardly noticed him capturing our entire day and we’re so grateful for the efforts that he went to. He’s clearly got a lot of intuition and experience. We couldn’t be happier to have chosen Victor as our photographer and we’re absolutely in love with our photographs. Very professional and friendly. Guided us throughout the process and kept us in communication. Not to mention the pictures were amazing! Many thanks, Victor! Victor was an absolute pleasure to work with- from beginning to end. Discrete and professional capturing authentic and natural shots which really encompassed the essence of our special day. Fantastic value and follow up care. Will definitely be using Victor again and again!! Thank you, Victor, for taking wonderful pictures for us on our wedding day in June 2017! He was professional, punctual, cheerful and very helpful on the day. Very quick turnaround with amazing pictures, we even didn’t expect to get the photos back that quick. He captured the most beautiful moments of our wedding day, it was our luck to have him as our photographer. We highly recommend Victor to everyone, He is truly talented and professional. And we will definitely come back to him if we need a photographer in the future.